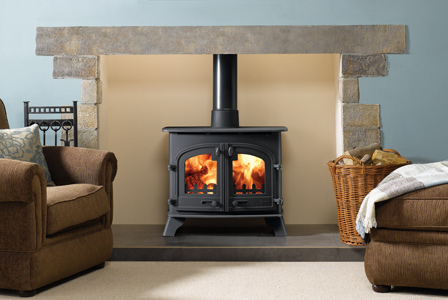 Wood burning and multi fuel stoves create an attractive focal point whilst providing a cost effective, efficient and environmentally friendly way of heating your home with stove efficiency of up to 80% compared to an open fire of typically 20% efficiency. 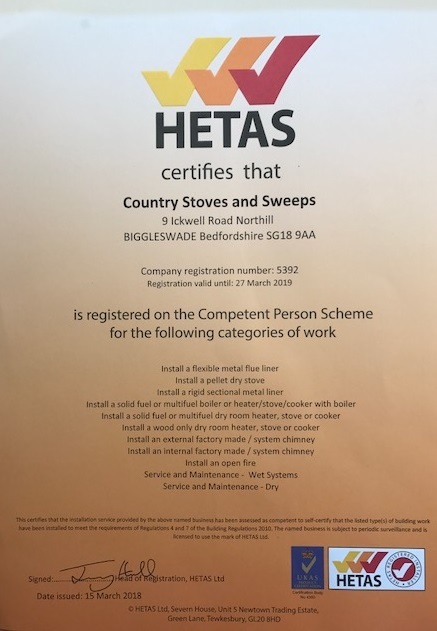 HETAS registered installers to building regulations standards we are qualified to provide stove installations, lined chimneys and twin wall flue systems to the highest standard – with communication and customer satisfaction our priority. Country Stoves and Sweeps are not tied to any stove manufacturer so we can offer impartial comprehensive advice on your prospective stove purchase. 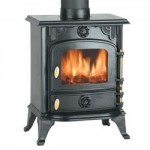 We are happy for you to purchase your own stove or we can source a stove for you. CALL 01767 627591/07950 705479 to book your initial survey. 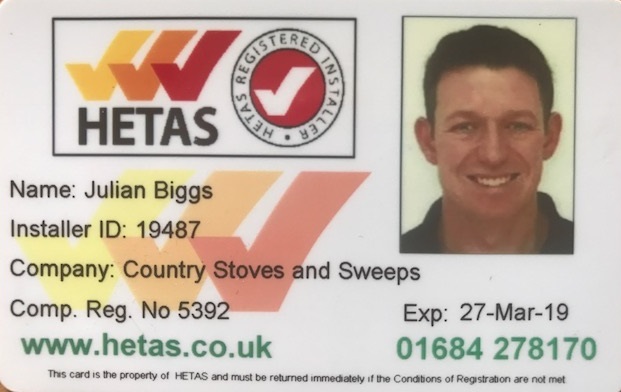 FREE NO OBLIGATION SURVEY & INTIAL CONSULTATION – we will inspect the chimney, take measurements of the fireplace and hearth and work out the appropriate size of stove and KW heat output required for your room, discuss your requirements and can advise on the types of stoves available. 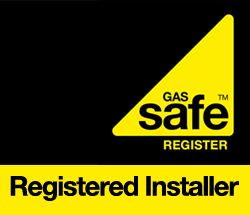 FREE QUOTATION – After visiting your home we will send you a full written quote detailing what is required for the stove installation and prices involved – if you are happy with our quotation and want to proceed we will arrange an installation date. 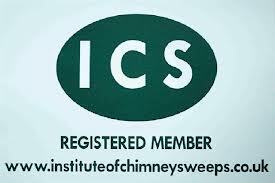 CHIMNEY SWEEP – Institute of Chimney Sweep qualified and registered we will provide a full brush and vacuum sweep with smoke test. 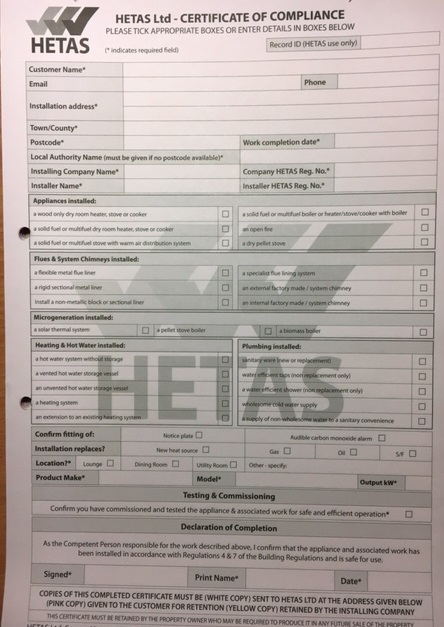 An ICS safety certificate issued (this is included in the quote). 1) The whole system is sealed and a series of tests are carried out. 2) The stove is assembled and setup below the register plate, with its flue going through the concealed plate. 3) If the stove is having a liner attached, the liner is dropped down through the concealed plate and connected to the stove pipe by a special coupler. 4) Any terminal work is completed. 5) The full operational working of the stove is checked and demonstrated, with its maintenance and cleaning explained. 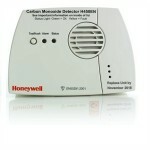 CARBON MONOXIDE DETECTOR FITTED – This is now a Building Regulation requirement for a fire installation and is included in every quote we produce. 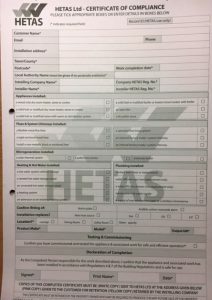 HETAS GAS SAFE CERTIFICATE – The job is then signed off by ourselves with all the compliance paperwork handed to the customer and we will send a copy to HETAS (the official body to approve solid fuel or gas stove appliance installation) for onward notification to the local Authority. 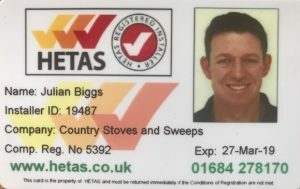 MAINTENANCE – We are always available for any questions and can provide an ongoing annual stove service, gas fire service and chimney sweep.